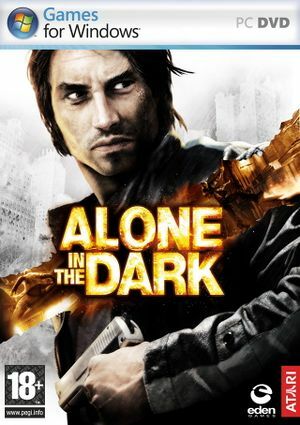 For the original game, see Alone in the Dark. Does not include any of the gameplay changes nor the extra content of the PS3 version. Steam version can be launched without the Steam client. The game uses three separate files for saved data: prefs.aitd saves all control/audio/graphical settings, res.aitd saves resolution settings, and save.aitd for game progress. The game has many issues with setting the resolution on most modern systems. See Game crashes when accessing settings on Windows 7 or updated Windows 10. Go to Control Options and press any controller buttons when rebinding a key, until the game asks to confirm the use of a controller. When confirmed, all controls will be automatically rebound for a controller (Xbox 360, Xbox ONE controllers work this way). Once this is done, menus are also controller-friendly. Controller support needs to be activated in Control Options. Certain keys are unbindable when using the keyboard. The mouse buttons cannot be rebound, Delete cannot be bound to anything, and the default keys for vehicle/misc controls cannot be bound to on-foot controls unless they are unbound from vehicle/misc controls first. One consequence of this is that vehicle and on-foot controls must use separate buttons (i.e. if you walk with the arrow keys you cannot also drive with them) unless you use the default WASD keys. Music is only an on/off toggle. After changing a resolution on some configurations menu is no longer displayed (aside from animated background). In Windows 7 and earlier (as well as on a fully updated version of Windows 10), attempting to access display settings (i.e. to change the resolution) causes the game to crash on video cards with more than approximately 1 GB of VRAM. Copy d3d9.dll and d3d9.ini to <path-to-game>. Edit settings in d3d9.ini if needed. Replace prefs.aitd with the one downloaded. Click "User Whitelist" and type in alone on a fresh line then save. Find presentInterval line and change it to 1. Find forceBorderlessFullscreen line and change it from false to true. Run the game with GeDoSaTo Tool launched. If game doesn't recognize keyboard and mouse input, switch to other process with Alt+Tab and then switch back to the game. Most modern desktop recording solutions (like Nvidia GeForce Experience) aren't compatible with the game. ↑ 1.0 1.1 File/folder structure within this directory reflects the path(s) listed for Windows and/or Steam game data (use Wine regedit to access Windows registry paths). Games with Steam Cloud support may store data in ~/.steam/steam/userdata/<user-id>/259170/ in addition to or instead of this directory. The app ID (259170) may differ in some cases. Treat backslashes as forward slashes. See the glossary page for details. This page was last edited on 9 April 2019, at 18:00.